Reading course To be comfortable with at least 70% of the grammar points of N3 and to know 550 Kanji characters. 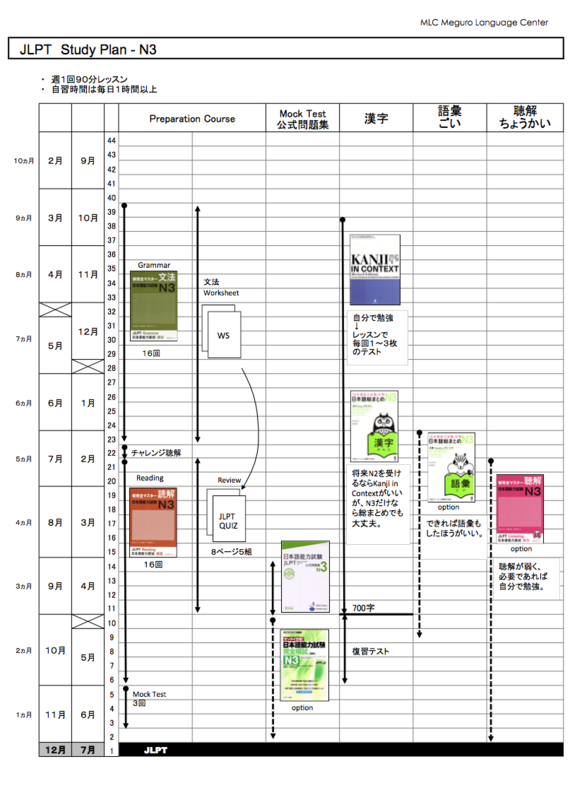 Mock Test To be comfortable with at least 70% of the grammar points of N3 and to know 650 Kanji characters. Textbook: 1,200 - 2,000 yen (+ tax) depending on the course. Please note that this is a special course with no trial lesson offered. 1. Please contact us by "Inquiry, Appointment" form below or Call 03-3493-3727. 2. Please take a level check at MLC. It takes 30-45 min. 3. Fill in the application form and pay the tuition fee. "I looked for other schools in the neighborhood. I was worried about the price and the class size. MLC was really convenient." "I like very much. Very well organized, good company !" "Finding a good language school through the Internet has always a part of "risk" or even can be "adventurous" at times. I was fortunate to meet with MLC and since then have never been disappointed." "The teachers are experienced, professional and nice individuals.